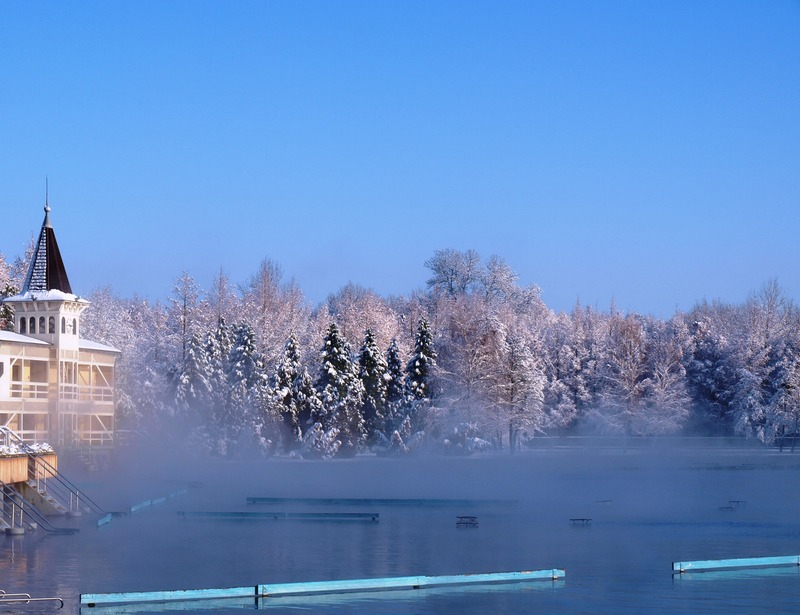 Thermal lake of Hévíz is Europe’s largest biologically active, natural thermal lake. The Earth's crust radiates heat from the deeper layers of the Pannonian age, resulting in underground storage in closed-system water depths. The lake water is heated by geothermal energy. The surface area of the 4.4 ha lake is rich in minerals from the 38 m deep cave springs, where tens of thousands of years of hot and cold water coalesce. The thermal waters vary between depths of 150-200 cm. In outer parts of the lake it is possible to stand to mid-thigh level and allow ourselves to be softened by the warm water’s healing caresses. 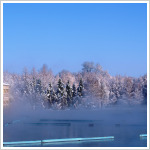 The high temperature (50-55 ° C) means it is not suitable for swimming! The Hévíz thermal powers come from its very special formations, as the warm waters of the lakes are bedded with clay and rest on the geothermal gezas. The warmth of the water and healing effect of 33.9 hectares of forest is protected from the external environment (wind, dust, noise) harms. In winter, early spring and the cooler autumn mornings, the lake is covered with a light mist, which is of great significance, as it prevents the water cooling, allowing outdoor winter bathing. 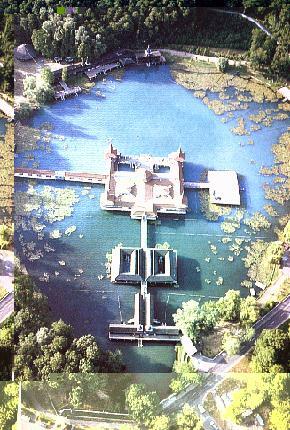 The lake water discharges at a rate of 410 l / sec, so the water is completely refreshed every three days, the winter temperature does not drop below 22 ° C and in summer reaches 38 ° C.
The steady and constant flow of water has a beneficial effect on the body, as it gives swimmers a constant, gentle head massage. 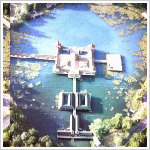 The flora and fauna of the Hévíz thermal water has a specific chemical composition for the lake and the surrounding environment. There are some interesting species found only here in Hungarian outdoors: Algae, algae (mainly blue-green algae, sulphate bacterium, and maritime rushes. 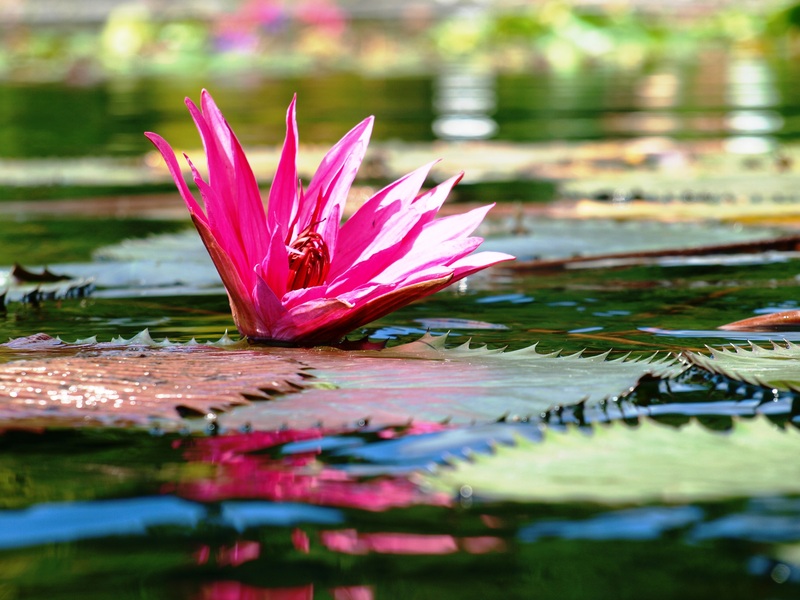 The water and sludge microorganisms and their metabolites play an important role in the healing power of the pond, as well as various strains of antibiotic, antiseptic activity is provided. The lake's visible vegetation is the lily. The native white water lily (Nymphaea alba) subspecies has now been ousted from the lake, but can still be found in the waters flowing into the lake and the Zala river drain. 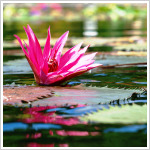 The lily of the lake is a protected plant, the removal of plants and flowers is strictly prohibited! 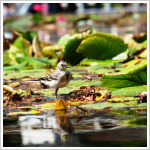 Around the lake are also a wide variety of wildlife. 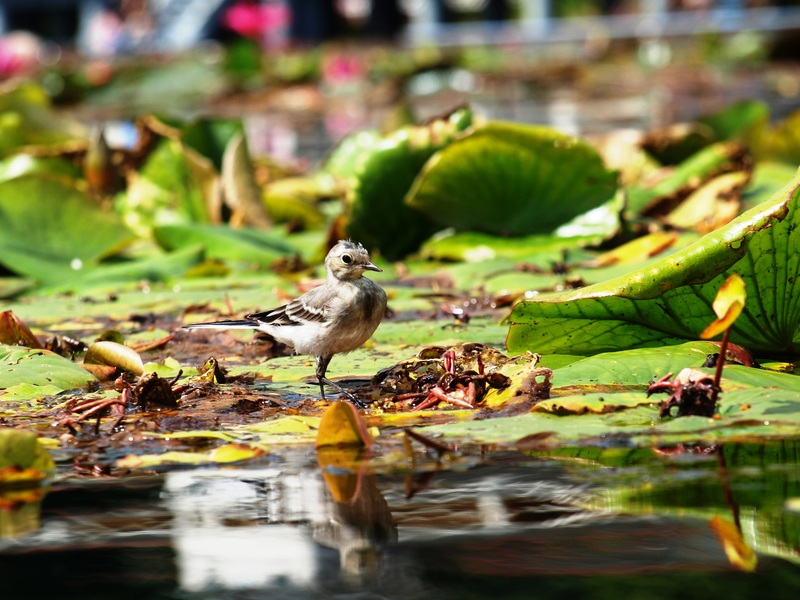 Water purification rotifers, aquatic snails and fish plankton, dragonflies, leaves and flower beetles, butterflies and more are the major sources of food for the wildlife.